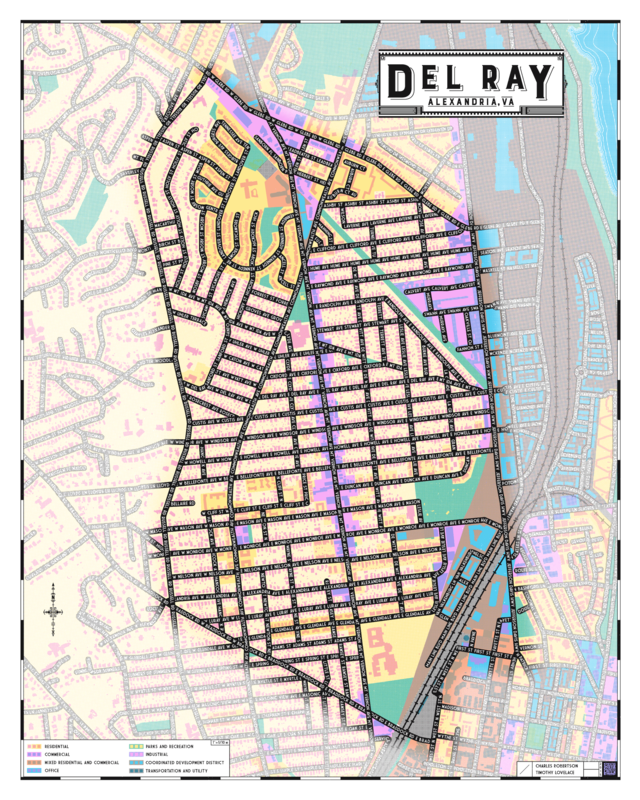 An intricate map of Alexandria's Del Ray neighborhood. The details correspond to land-use zones and building footprints. Streets glow in the dark!